Arcade—alternately called Passage, Galleria, Halle—descends from the Ottoman Bazar and ancient Greek Stoa among other building types. 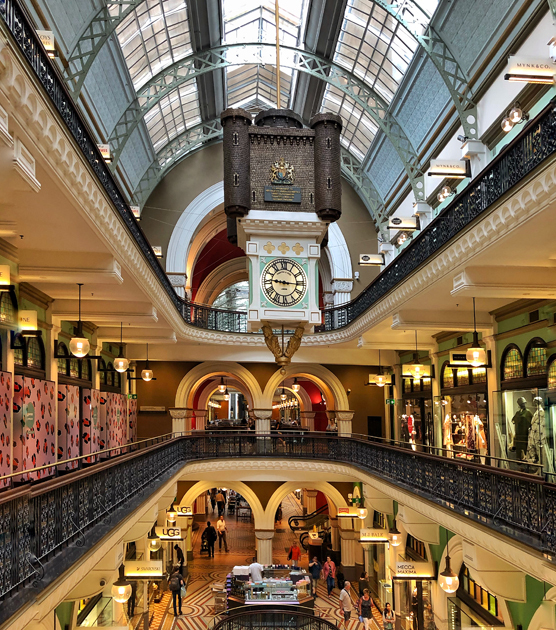 Today we typically think of a glass roofed walkway lined with retail spaces, it’s ends open or closed, built during the 19th and early 20th centuries. Johann Friedrich Geist wrote a fantastic typological study of Arcades in 1983. At the time, he catalogued the known Arcades internationally noting the large number lost in WWI and WWII. Today far more have been destroyed through urban renewals. 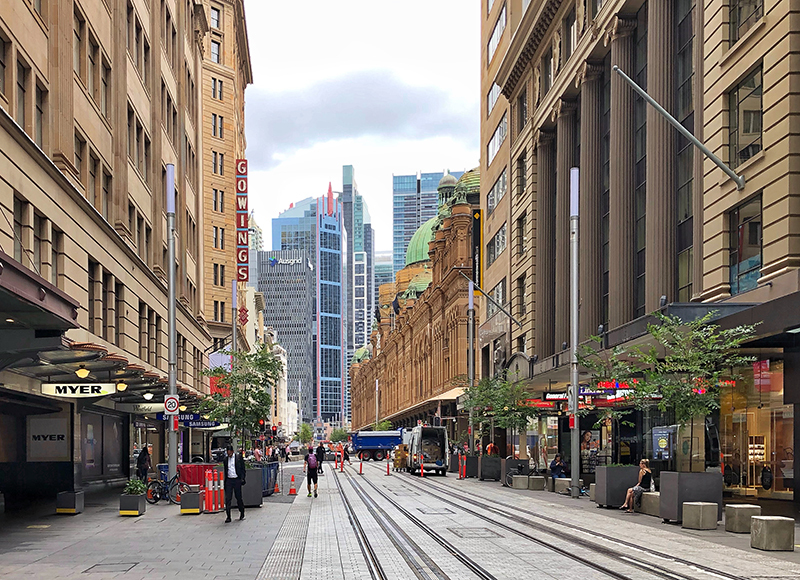 On a recent trip, I was delighted to find thriving Arcades in Sydney, Australia and Wellington, New Zealand. Retail filled multiple levels with packed cafes at their center. 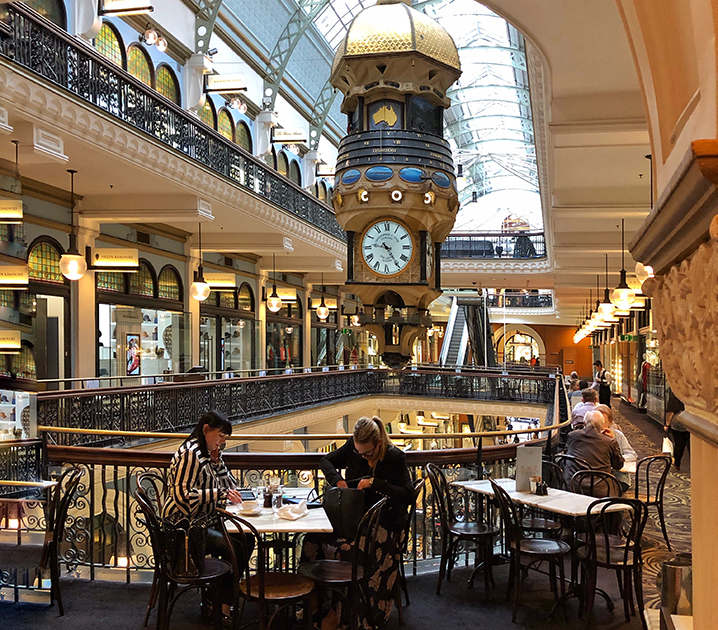 Shopping in these spaces transcends the typical dark, introverted mall retail experience. These Arcades were filled with people at all hours—bathed in natural light during the day and the structures glowed in the city at night. 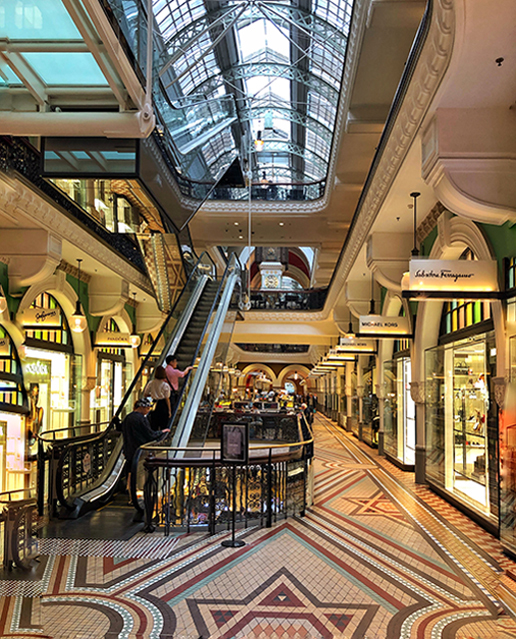 The other essential element here is that there is an Architecture in Arcades unlike malls. Living in Minneapolis, the woes of downtown retail, especially on our Nicollet Mall, are a constant lament for urban nerds. 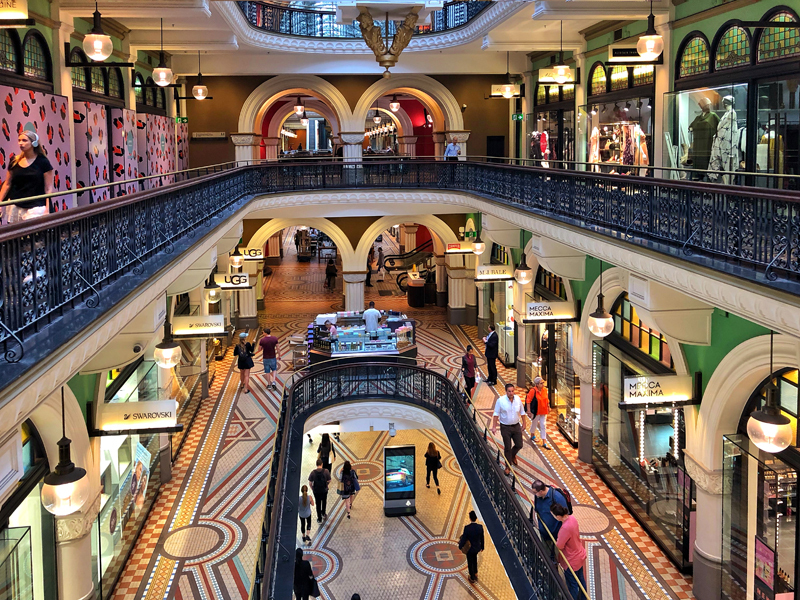 Other than Philip Johnson’s Crystal Court which is a type of Arcade, retail typically gives priority to Fitting Rooms which block rather than connect exterior and interior promenade spaces. Maybe in Minneapolis we can learn from a 200 year old architectural type. 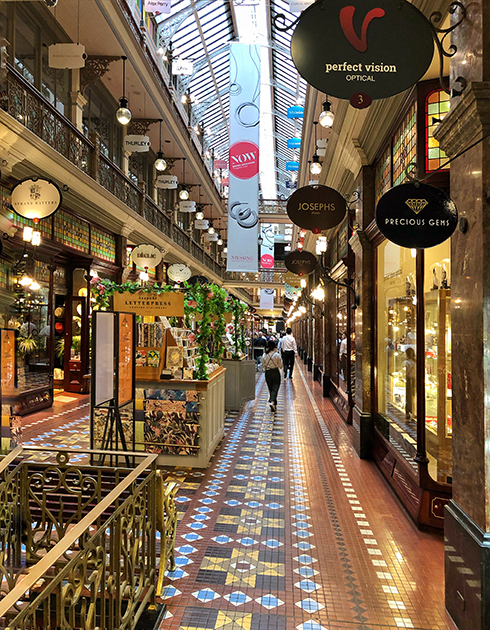 Arcades have survived and proven to be some of the most popular and loved urban spaces around the world.